Animal Defenders International (ADI) has congratulated the UK Government on committing to ban the use of wild animals in travelling circuses in England by January 2020. With similar bans recently passed in Ireland and Scotland, and under discussion in Wales, the UK-wide ban that the public wants, and the animals need, is finally within reach. It follows a decade of promises by the UK Government and more than 20 years of investigations and campaigning by ADI. The announcement was made in a ‘Post Implementation Review’ of the Welfare of Wild Animals in Travelling Circuses (England) Regulations 2012, introduced as an interim measure ahead of a ban. Opposed by ADI and other animal protection groups, due to the nature of the travelling circus, a system of licensing and inspection cannot improve the environment enough to ensure animal welfare; additionally, investigations show trained inspectors are unlikely to detect husbandry problems or physical abuse. The Defra review states The current Regulations expire on 19 January 2020. The Government does not intend to renew the Regulations as it intends to ensure that a legislative ban is introduced by then. The Regulations will then be allowed to expire. A ban on wild animal circuses was first promised under a Labour Government during the passage of the Animal Welfare Act 2006. Following the shocking abuse of three elephants at the Great British Circus in 2009, exposed by ADI, a public consultation on the issue was launched by Defra.The results published in 2010 showed 94.5% supported a ban on wild animal acts and resulted in a commitment from the Labour Government, before the General Election resulted in a Coalition Government. 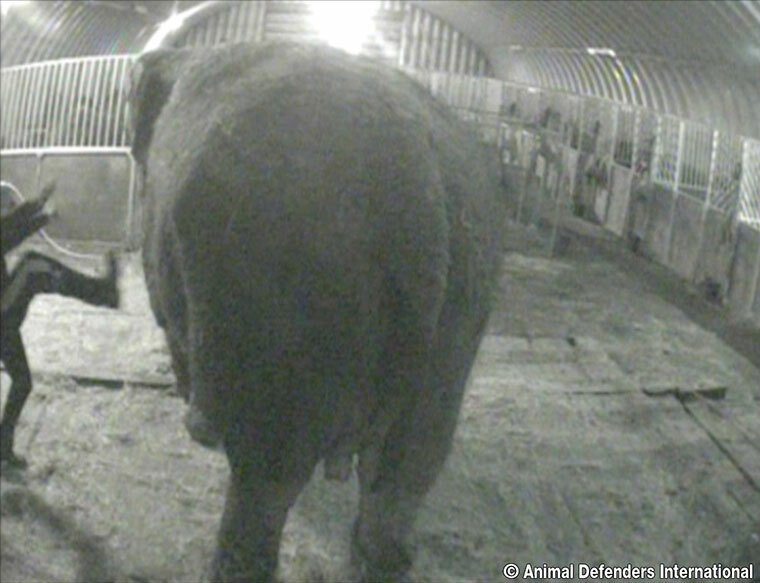 In 2011, ADI exposed the terrible abuse of Anne the elephant at Bobby Roberts Super Circus, leading to backbench MPs demanding a ban. 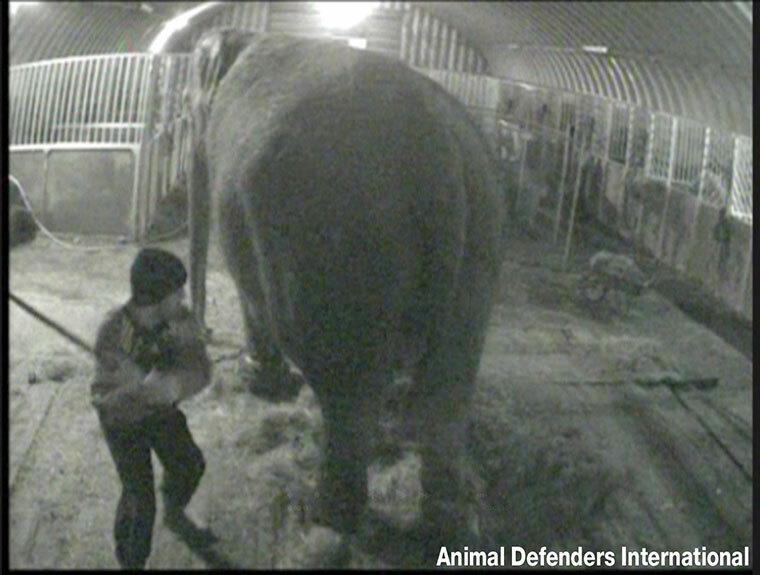 ADI’s shocking footage also led to a cruelty conviction for circus owner Bobby Roberts. With a commitment from the Coalition Government in 2012, legislation to ban wild animals in circuses in England was drafted the following year. However despite stating it would be a “leading protector of animals”, the Government bill has simply gathered dust. Forty three countries have stepped up to stop circus suffering to date, with 27 of the bans – including in Scotland and Ireland – introduced since the bill was published. Repeated efforts by backbench MPs to bring in a ban through Private Member’s Bills, supported by ADI, have been thwarted by just a few MPs; the latest from Conservative MP Trudy Harrison to be introduced on 6 March. Changing attitudes and awareness of animal suffering have seen the number of wild animal circuses in Britain plummet. Only two circuses perform in England with wild animals, Circus Mondao and Peter Jolly’s Circus. Opinion polls consistently show that the UK public remains overwhelmingly opposed to wild animal acts, with a high proportion against all animal acts. Expert analysis of scientific evidence undertaken by Professor Stephen Harris at Bristol University in 2016, commissioned by the Welsh Government and the most comprehensive and recent study of its kind to date, concluded, The available scientific evidence indicates that captive wild animals in circuses and other travelling animal shows do not achieve their optimal welfare requirements. The report stated that Life for wild animals in travelling circuses…does not appear to constitute either a ‘good life’ or a ‘life worth living.